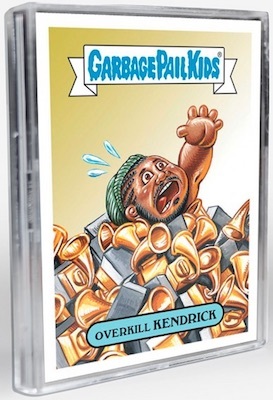 Year three of the Grammy-based parody set, 2018 Topps Garbage Pail Kids The Shammy Awards provides the GPK hits for some of the biggest names in music. 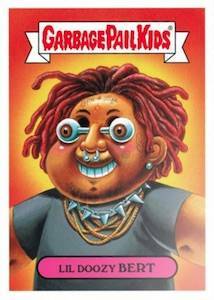 As is normally the case for these one-off sets, 2018 GPK Shammys treats a few notable subjects to the Garbage Pail Kids humor and artistic style. Key musicians include Lady Gaga, Bruce Springsteen and Kendrick Lamar. 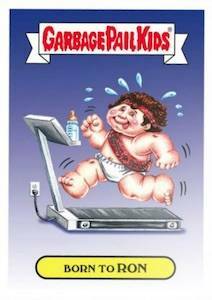 Issued direct from the Topps site, 2018 Topps Garbage Pail Kids The Shammy Awards is priced at $27.99. Offering free SmartPost shipping, this set price includes "A" and "B" versions for all five images in the 10-sticker set. 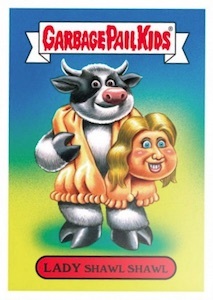 Previous Shammys sticker sets were released in 2016 and 2017. 5 images and 10 total cards. 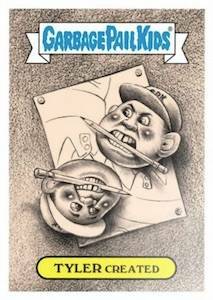 Shop for cards on Topps. Available at Topps until 02/05/2018 at Noon EST.